Heavy glass shower enclosures add a sense of luxury to any bathroom. Their simplicity and detail provide a spa-like impression to homeowners and guests alike. With near limitless glass and hardware options available, customized shower enclosures can match any home style and provide a personal touch to the bath. Lemon Bay Glass can assist with the planning and installation of glass products for new bathroom retreats. 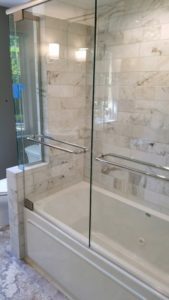 With in-depth product knowledge, state of the art techniques, and skilled craftsmen Lemon Bay Glass has built a reputation for making shower door installation fast, easy, and efficient. Expert technicians have been with Lemon Bay Glass for years, and have decades of experience in both residential and commercial installations. We use only the finest hardware available ensuring years of trouble-free beauty. Perhaps the best way to get an idea of the team’s extensive expertise – as well as the creative work they produce – is by linking to the Lemon Bay Glass Gallery or visit the Showroom in Englewood, FL. 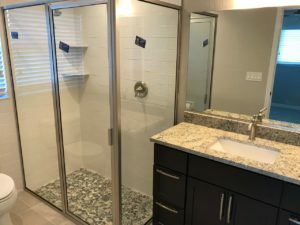 There is an extensive display of shower enclosures; products from an array of quality manufacturers to envision the added value and functionality of a bath remodel. Contact your Lemon Bay Glass representative today and see what they can do for you. 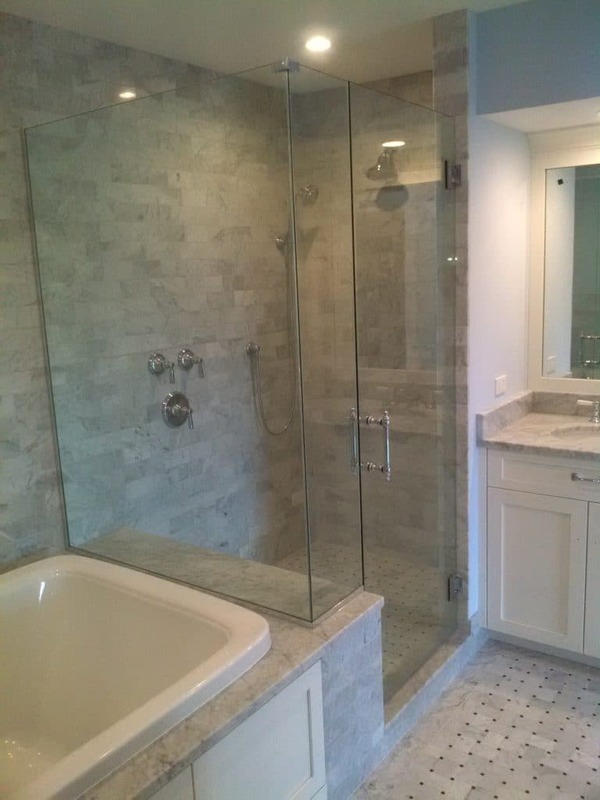 Lemon Bay Glass can build a custom enclosure to fit any bathroom configuration. Your choices are fully framed, semi-framed shower enclosures and frameless. All these options include a wide variety of hardware finishes and glass types so your updated shower will be one of kind. Fully framed shower enclosures with 1/4″ glass are cost-effective because of the reduction in glass fabrication and glass thickness. 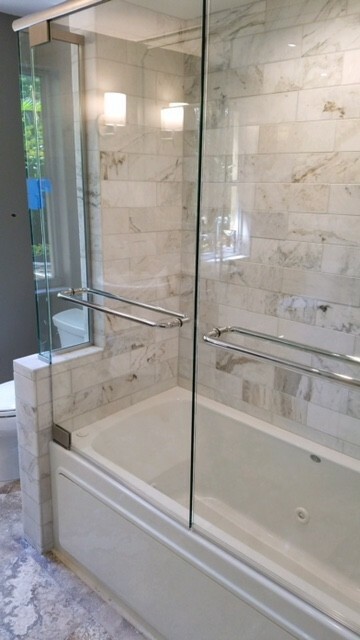 Semi-frameless shower enclosures are available with 1/4″, 3/8″, or 1/2″ glass panels. Support headers, perimeter u-channels the options are vast. Connect with a Lemon Bay Glass specialist and make your dreams reality. connect with Lemon Bay Glass & Mirror via email.